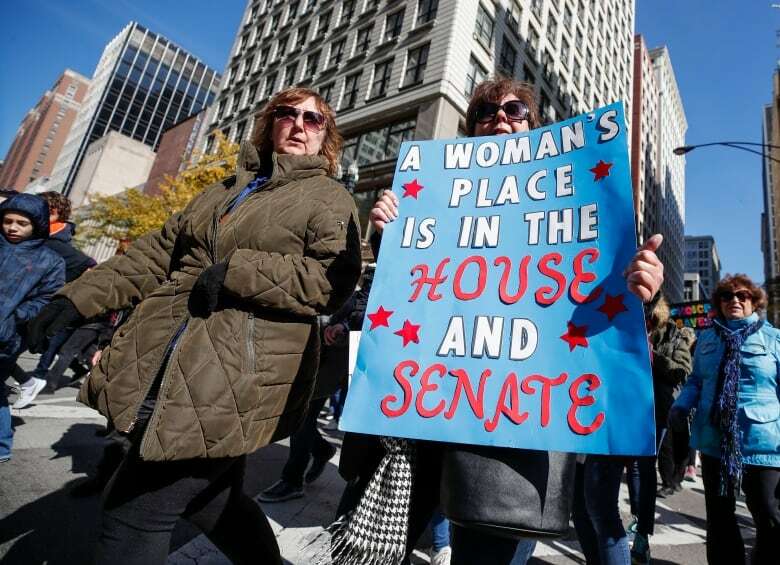 A record number of women were elected to the House on Tuesday, nearly two years after women spilled out into the streets of Washington and in cities across the country in defiance of the inauguration of U.S. President Donald Trump. 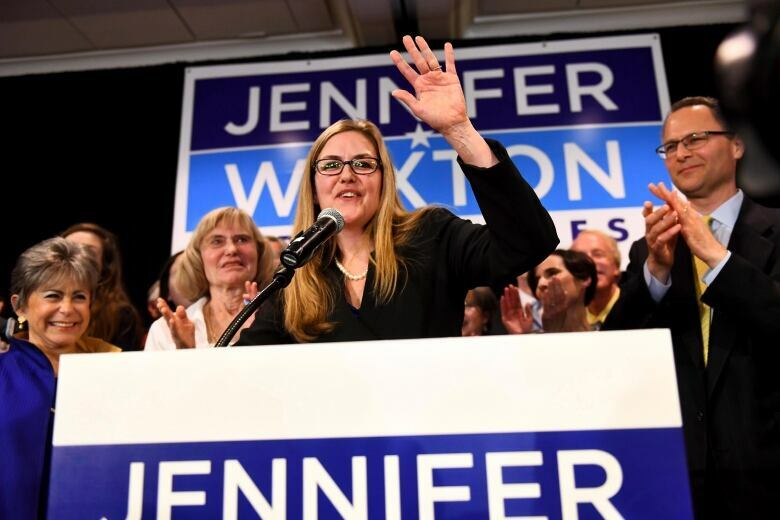 Among the new lawmakers headed to the House is Jennifer Wexton, a Virginia state senator who defeated incumbent Barbara Comstock in one of the most closely watched races across the country. 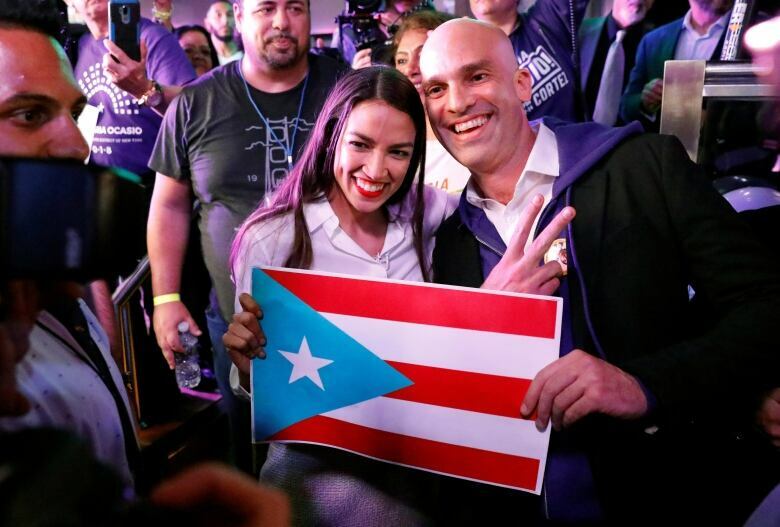 And Alexandria Ocasio-Cortez, the former Bernie Sanders organizer who won an upset primary victory over a senior House Democrat, will also head to Congress. At 29, Ocasio-Cortez is the youngest woman ever elected to Congress. 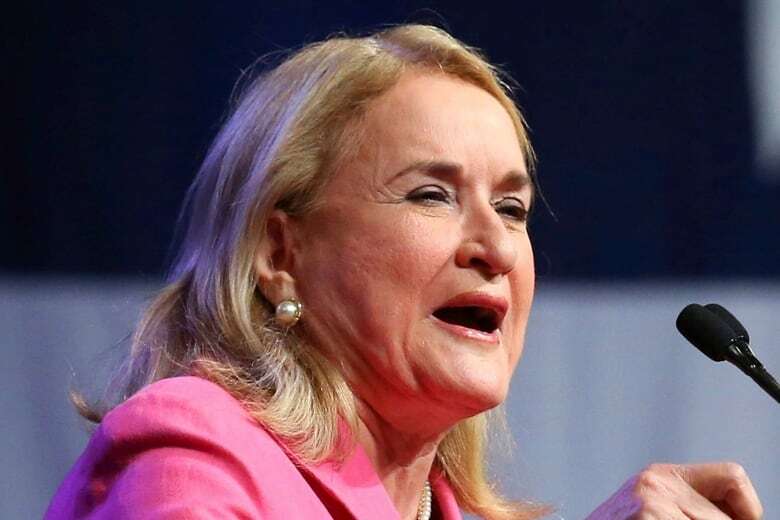 She shocked many, including herself, last spring when she came out of nowhere to defeat 10-term Rep. Joe Crowley in New York's Democratic congressional primary. 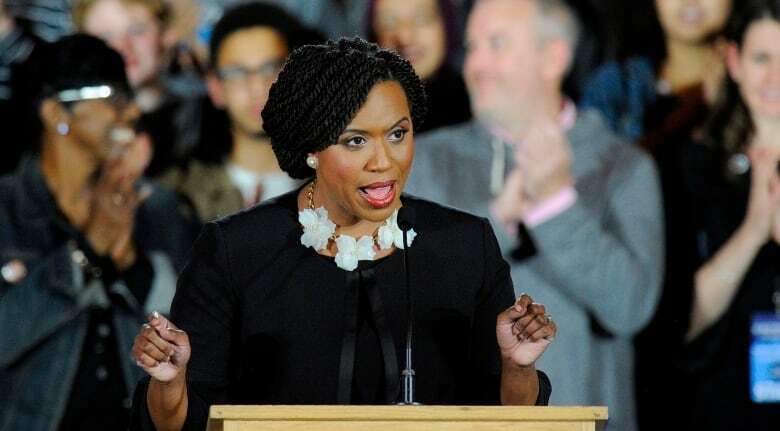 "I am so honoured to share both the ballot and the stage with the many visionary, bold women who have raised their hand to run for public office," said Ayanna Pressley, who became the first black woman elected to Congress from Massachusetts. 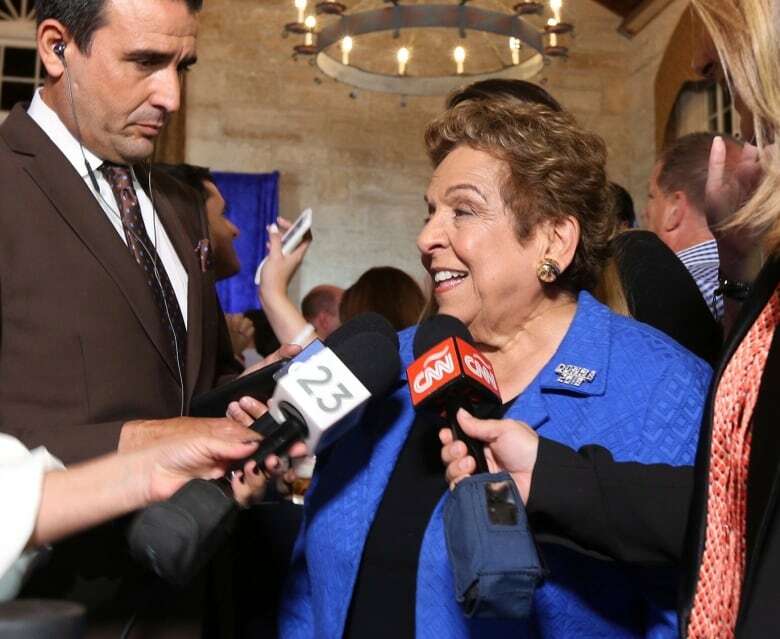 "Now, listen, I know for a fact none of us ran to make history, we ran to make change. However, the historical significance of this evening is not lost on me. The significance of history is not lost on me, including my personal one." 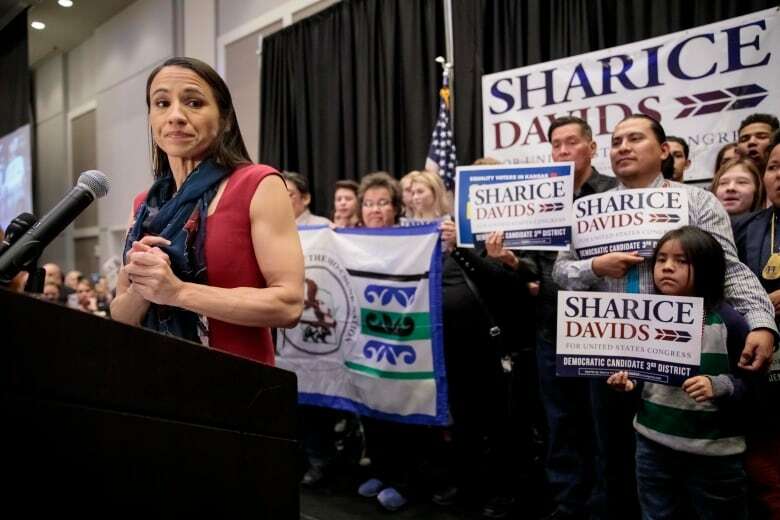 Democratic newcomer Sharice Davids defeated incumbent Rep. Kevin Yoder in Kansas to become the United States' first LGBT Indigenous person in Congress. 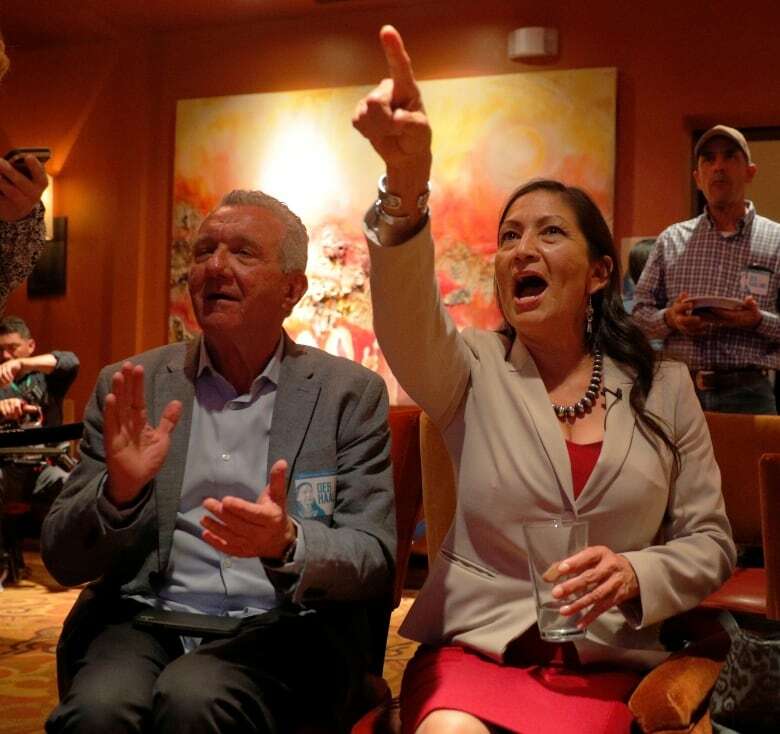 Joining Davids as one of the first Indigenous women elected to Congress was fellow Democrat Deb Haaland, a member of the Laguna Pueblo tribe who will represent New Mexico's first district. 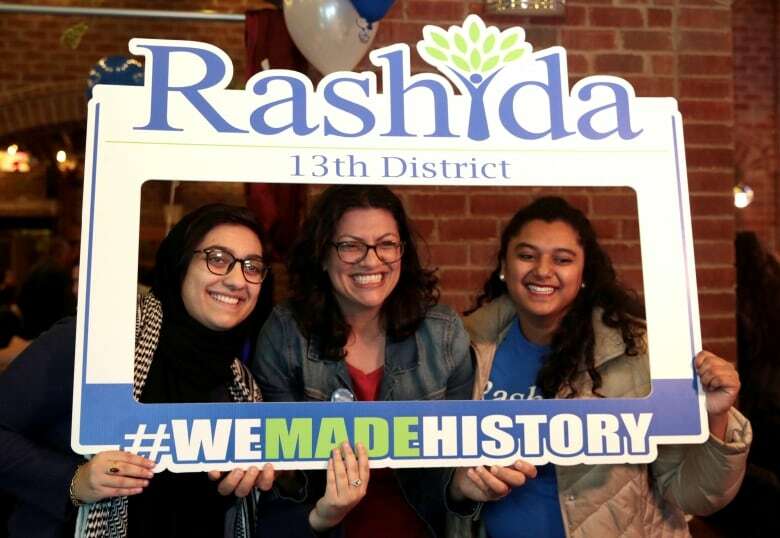 Voters in Minnesota and Michigan elected the first two Muslim women to serve in the U.S. Congress: Ilhan Omar, a former refugee who fled Somalia's civil war, and Rashida Tlaib, a Detroit-born Palestinian-American. 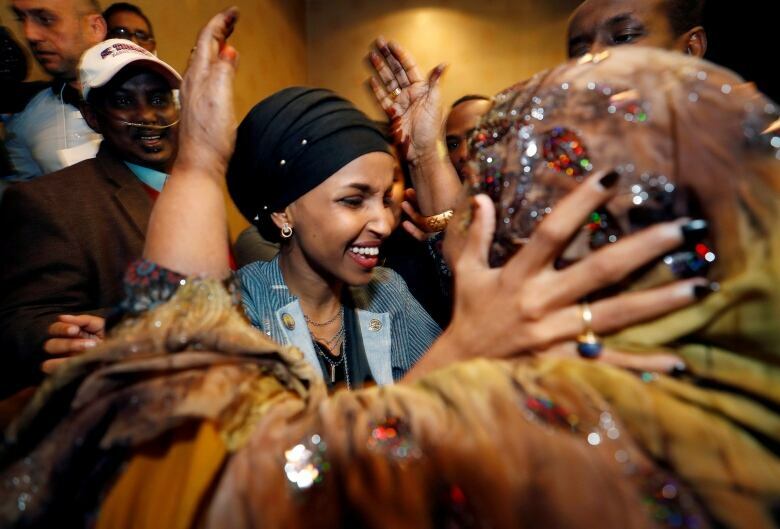 In Minnesota, Omar, a 36-year-old naturalized American citizen and state representative, campaigned on policies embraced by the Democratic Party's most liberal wing: universal health care, free college tuition and robust public housing. Omar will also be the first Congress member to wear a hijab, or head scarf. Tlaib, 42, became the first Muslim woman elected to the Michigan Legislature in 2008. 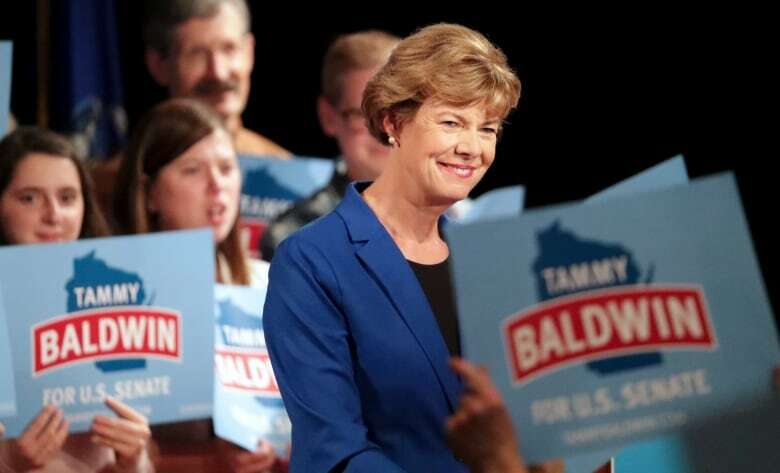 The former state representative also ran on a liberal platform, backing Medicare for all, immigration reform and a call to overturn Donald Trump's executive order banning most people from five Muslim-majority nations from entering the U.S.
"This is the year of the woman, and the fact that women were willing to put themselves on the line is important, whether they've been Republicans or Democrats," said former Health and Human Services Secretary Donna Shalala, a first-time candidate who defeated Republican Maria Elvira Salazar in south Florida. 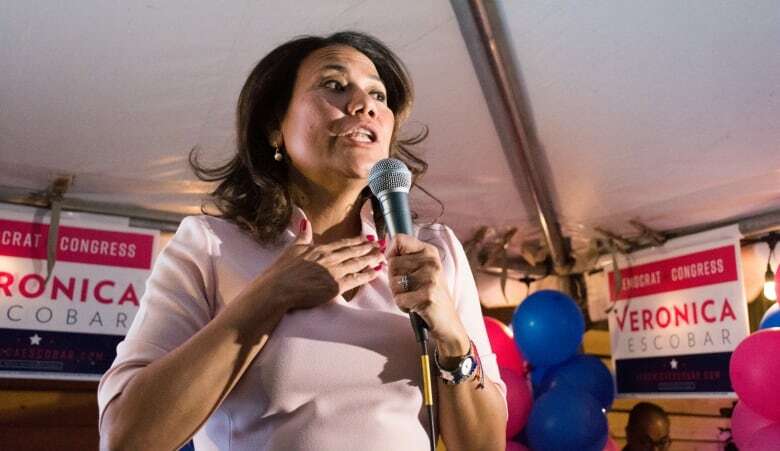 Texas is set to send its first Hispanic women to Congress, as Democrats Veronica Escobar and Sylvia Garcia both won their races. 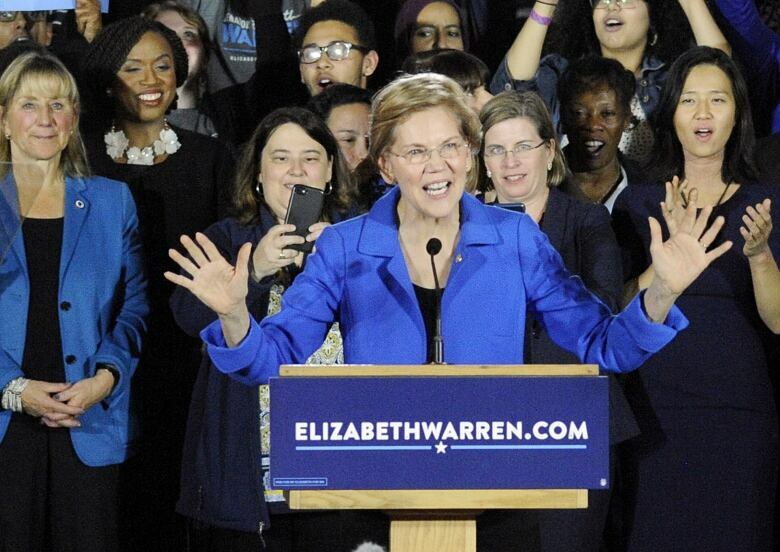 Massachusetts Sen. Elizabeth Warren, one of the Democrats who is considering the 2020 presidential race, said that the two years since Trump ascended to the White House had ushered a new generation of women into public life.